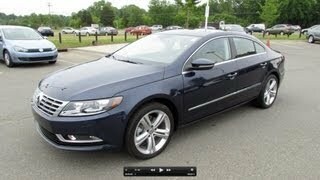 The Volkswagen CC 2013 made its global premiere at the LA Auto Show 2011. The European market launch of the avant-garde four-door begins with the international driving presentation in Southern France. The new Volkswagen CC will be on the market at the beginning of February, first in Germany and Luxembourg, then across Europe at the end of February. In spring 2012, this Volkswagen will then launch globally, including in America, Russia and Asia. 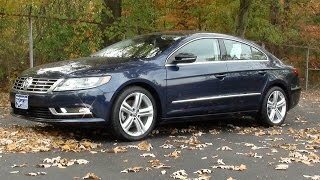 The new Volkswagen CC now crosses over to the luxury class offering new styling, fatigue detection, bi-xenon headlights and innovative Side Assist Plus. 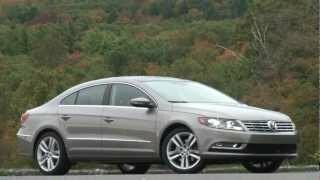 Wolfsburg, 03 November 2011 - When the Volkswagen CC made its debut four years ago, it was the first four-door coupé in the 30,000 to 40,000 euro class. From this niche, a new segment quickly developed – to date, nearly 270,000 people around the globe have chosen the sedan with the stylish lines of a sports car. They are car drivers who love the charm of a coupé but also value space for at least 4 persons and 4 doors. Now, Volkswagen is presenting a technically and visually updated version of the popular business vehicle. With new front and rear styling, the new perfected Volkswagen CC makes an even bolder move towards the automotive luxury class. Its extended range of standard features has become more exclusive as well; they now include new bi-xenon headlights, static cornering lights and a new LED tail light design. Also standard: fatigue detection, RCD 310 radio-CD system, stainless steel door sill plates and safety head restraints with additional longitudinal adjustment (front seats). New assistance systems are making their way into the CC as well. They include optional technologies such as Side Assist Plus with integrated Lane Assist (warns of vehicles in blind spots and assists driver in avoiding an accident by steering intervention), Dynamic Light Assist (automatic main beam control) that is new in the Volkswagen CC and a camera-based traffic sign detection system. Meanwhile, comfort is optimised by the ‘climate seat’ with integrated massage function. 170 PS. The petrol engines of the European CC versions develop a sporty 118 kW / 160 PS, 155 kW / 210 PS and 220 kW / 300 PS of power. In the USA, the Volkswagen will once again launch with petrol engines that output 147 kW / 200 PS (TSI) and 206 kW / 280 PS (FSI). All engines go to work with excellent efficiency. A prime example is the 140 PS TDI. Together with a manual six-speed gearbox, its combined fuel consumption is just 4.7 l/100 km (equivalent to 125 g/km CO 2). 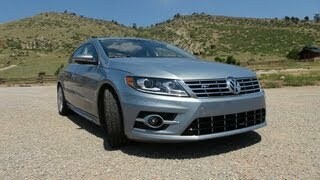 The new Volkswagen CC will be revealed to the public in a world premiere at the Los Angeles Auto Show (November 18 to 27). The market launch phase begins shortly thereafter. 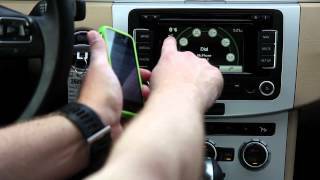 Volkswagen will first offer the new CC in Germany in February 2012, then in stages across Europe, America, Russia, China (local version starting in 2013) and all other sales regions relevant to this vehicle class.